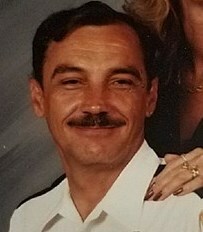 Clayton Dane Collins Jr, 60 of Clarksburg passed away on December 4, 2018 at his residence as a result of a house fire. He was born December 2, 1958 in Clarksburg, son of the late Clayton Dane Collins Sr. and Rosetta Mary Armstead Collins Flowers. Clayton. Clayton served his country in the United States Army. He was an EMT at Lambert’s Paramedic, Harrison County EMS, CAT Ambulance, Jan-Care, Mets Paramedic Service and Clay Eagle Ambulance Service. He was also a Volunteer fireman with the Summit Park VFD. Clayton was a janitor at the Clarksburg Masonic Lodge. He is survived by his wife, Holly Renee Collins of Martinsburg, five children, Christal Cain, Clarksburg, Clayton Dane Collins III and companion Natasha, Annie Wells, Worthington, David Collins, Clarksburg, Dylan Collins, Clarksburg; twelve grandchildren, two great grandchildren; four stepchildren, Kaylee Flowers, Dalton Flowers, April Marchand, and Kathy Watson all of Clarskburg; five brothers, Larry Collins, Clarksburg, Paul Collins and wife Alice, Anmoore, Pat Collins and wife Joann, Morgantown, John Collins and wife Jennifer, Grafton, Tommy Flowers, Clarksburg; two sisters, Lisa Queen, Grafton, Teresa Flowers, West Columbia, WV. In addition to his parents, he was preceded in death by one brother, David Collins; one sister, Sharon Delaney. The family will receive friends on Sunday, December 30, 2018 from 1-7:00PM at Davis Funeral Home on Rt. 98 Clarksburg/Nutter Fort. Funeral services will be held on Monday, December 31, 2018 at 11:00AM from the Chapel of Davis Funeral Home with Pastor Bridget Queen and Pastor Gig Fragale officiating. Interment will follow at WV National Cemetery where military honors will be accorded by the Harrison County Honor Guard and US Army Honor Guard. Online condolences may be sent to the family at DavisFuneralHomeWV.com. In lieu of flowers, donations can be made to his Funeral Care Fund on his obit page. 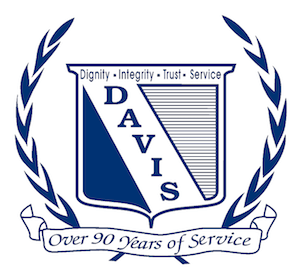 Davis Funeral Home is honored to serve the Collins family.